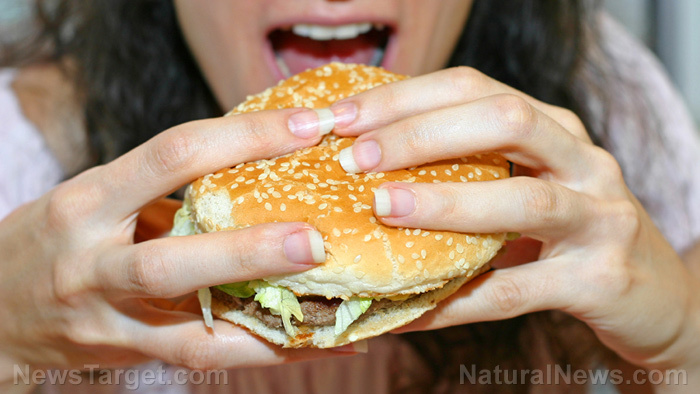 (Natural News) Everybody knows that you are what you eat, but an interesting new study has discovered that eating less overall can directly impact how long you live. In fact, scientists have discovered that reducing calorie consumption leads to an “almost linear increase in lifespan.” This doesn’t mean that we should all start starving ourselves in the belief that we will stay young forever, but it does mean that every calorie we consume needs to really count. The study was conducted by researchers from Brigham Young University and Colorado State University, and was published in the journal Molecular and Cellular Proteomics. Researchers examined the effect of ribosomes (the protein makers of the cell) on the aging process. “The ribosome is a very complex machine, sort of like your car, and it periodically needs maintenance to replace the parts that wear out the fastest,” Brigham Young biochemistry professor and senior author, John Price, explained. “When tires wear out, you don’t throw the whole car away and buy new ones. It’s cheaper to replace the tires.” When this ribosome “machine” has defects, the result is protein homeostasis, disease, and aging. When it is running optimally, however, the body is able to fight of disease, and lifespan is increased. To test the effect of calorie consumption on this process, two groups of mice were used, one of which had unlimited access to food, while the other was given all the daily required nutrients, but 35 percent fewer calories per day. The researchers then used stable-isotope feeding and protein mass spectrometry to measure the effects on the ribosomal RNA (rRNA) and ribosomal proteins (r-proteins) of the mice. They found that in the mice who consumed fewer calories, ribosome production slowed down, causing biochemical changes that literally slowed down the aging process. As a result, the mice on the calorie-restricted diet were less prone to disease, more energetic, and had a longer lifespan. As noted at the outset, however, simply restricting calories is not the secret “fountain of youth.” What is vitally important, is to make every calorie count by eliminating processed, unhealthy foods and incorporating more foods known to increase longevity. There are powerful, natural “superfoods” that can cure and prevent disease, improve your health, and ensure that you stay fit as you enjoy a long and happy life. Berries are incredibly easy to incorporate into your diet, because they are absolutely delicious and readily available. All berries contain important antioxidants and flavonoids that improve memory while protecting your brain cells and reducing inflammation. A great concern for most people as they age, particularly women, is saggy, wrinkled skin, and berries can really help in this regard. Since they contain vitamin C, berries help the collagen in your skin stay elastic, minimizing wrinkles. Although all berries are nutritional powerhouses, the humble blueberry may be king of them all. This delicious little fruit can both repair and prevent DNA damage, dramatically reducing one’s chances of developing life-threatening illnesses like cancer. Blueberries are so powerful, in fact, that a study by the U.S. Department of Agriculture (USDA) and partner organizations, found that regularly consuming them can increase your lifespan by about 28 percent, or 22 years. So, your future is in your hands, and is directly related to what and how much you choose to put in your mouth. Choose wisely, and you can live a long, healthy life.